All of the parts of the search engine are important, but the search algorithm is the cog that makes everything work. It might be more accurate to say that the search algorithm is the foundation on which everything else is built. How a search engine works is based on the search algorithm, or the way that data is discovered by the user. In very general terms, a search algorithm is a problem-solving procedure that takes a problem, evaluates a number of possible answers, and then returns the solution to that problem. A search algorithm for a search engine takes the problem (the word or phrase being searched for), sifts through a database that contains cataloged keywords and the URLs those words are related to, and then returns pages that contain the word or phrase that was searched for, either in the body of the page or in a URL that points to the page. List search: A list search algorithm searches through specified data looking for a single key. The data is searched in a very linear, list-style method. The result of a list search is usually a single element, which means that searching through billions of web sites could be very time-consuming, but would yield a smaller search result. Tree search: Envision a tree in your mind. Now, examine that tree either from the roots out or from the leaves in. This is how a tree search algorithm works. The algorithm searches a data set from the broadest to the narrowest or from the narrowest to the broadest. Data sets are like trees; a single piece of data can branch too many other pieces of data, and this is very much how the Web is set up. Tree searches, then, are more useful when conducting searches on the Web, although they are not the only searches that can be successful. SQL search: One of the difficulties with a tree search is that it’s conducted in a hierarchical manner, meaning it’s conducted from one point to another, according to the ranking of the data being searched. A SQL (pronounced See-Quel) search allows data to be searched in a non-hierarchical manner, which means that data can be searched from any subset of data. Informed search: An informed search algorithm looks for a specific answer to a specific problem in a tree-like data set. The informed search, despite its name, is not always the best choice for web searches because of the general nature of the answers being sought. Instead, informed search is better used for specific queries in specific data sets. Adversarial search: An adversarial search algorithm looks for all possible solutions to a problem, much like finding all the possible solutions in a game. This algorithm is difficult to use with web searches, because the number of possible solutions to a word or phrase search is nearly infinite on the Web. Constraint satisfaction search: When you think of searching the Web for a word or phrase, the constraint satisfaction search algorithm is most likely to satisfy your desire to find something. In this type of search algorithm, the solution is discovered by meeting a set of constraints, and the data set can be searched in a variety of different ways that do not have to be linear. Constraint satisfaction searches can be very useful for searching the Web. 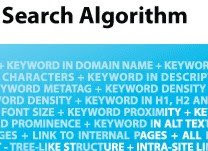 These are only a few of the various types of search algorithms that are used when creating search engines. And very often, more than one type of search algorithm is used, or as happens in most cases, some proprietary search algorithm is created. The key to maximizing your search engine results is to understand a little about how each search engine you’re targeting works. Only when you understand this can you know how to maximize your exposure to meet the search requirements for that search engine. Ok Thank you for your comment..